Sun Palace Hotel Resort & Spa is located 4km from Kos Town and boasts a spa and wellness centre, an outdoor pool, indoor pool, restaurant and free Wi-Fi. Spacious rooms offer a terrace or balcony. 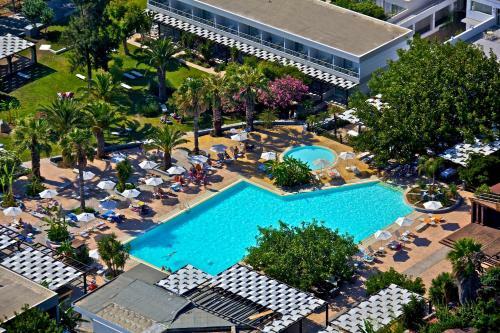 Only 500 metres from Psalidi Beach, the 4-star Kipriotis Aqualand offers 3 pools with 6 water slides. Surrounded by a garden, it has 1 restaurant and 2 bars. A gym and a tennis court are included. Kipriotis Hippocrates is right across the beach in Psalidi, just 3 km from Kos Town. It offers spacious rooms with veranda, as well as 2 pools and a palm-tree garden. The modern rooms of Kipriotis Hippocrates are air-conditioned. Pelagos Suites Hotel is a beachfront hotel, spread in 39,000 m� in a quiet location on Lambi Beach, 2.5 km from the centre of Kos Town. It features 3 swimming pools, 2 tennis courts and a floating restaurant. 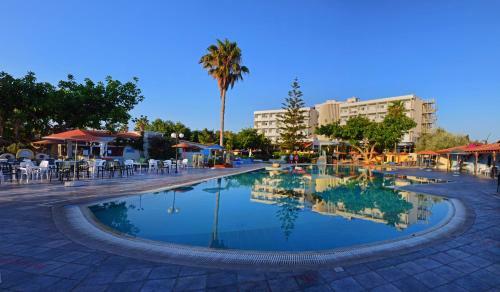 Hotel Apollon is a 4 star hotel, ideally situated, a mere 1km from the centre of Kos Town in the area of Lambi and only a short 200-metre walk from the beautiful beach of Nea Alikarnassos. 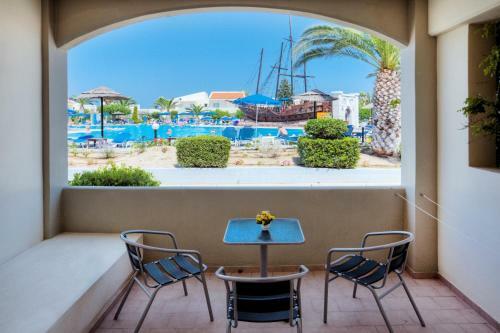 Set in spacious grounds and surrounded by gardens, the 4-star Bay Hotel is located on its private sandy beach in Vassilikos. 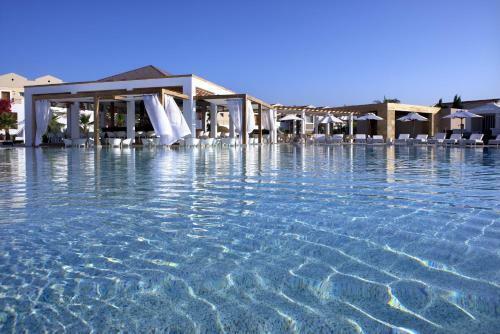 Guests enjoy free beach sun beds, and a 250-square-metre pool. 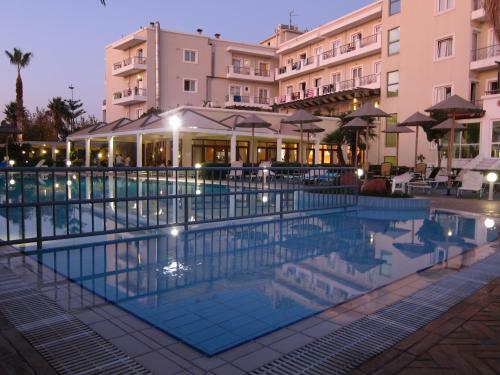 Just 150 metres from the pebbled Lambi Beach, Nefeli Hotel offers an outdoor swimming pool and children�s pool. All units have balconies with garden and pool views and studios feature kitchenettes. 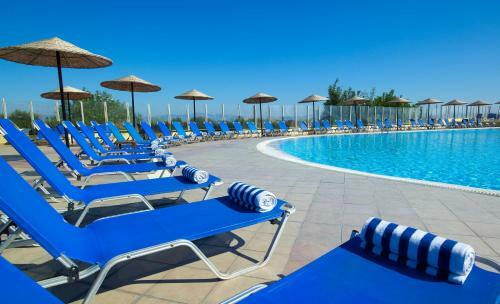 Located 60 metres above the beach, this Robinson Club on the island of Kos offers full-board accommodation with free Wi-Fi, a buffet restaurant and a large pool. Kos Airport is 5 km away. Built directly upon a beautiful stretch of sandy beach Hotel Atlantis is a modern hotel complex, featuring 2 swimming pools and a private beach. 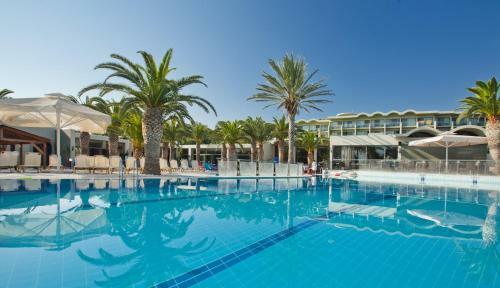 Aeolos Beach Hotel offers an swimming pool with Olympic specifications, a children's pool and an open air hot tub. It is built along the long, sandy beach of Lampi. Archontiko Parisi is a listed 1834 mansion located in the area of Lafkos. It offers stone-built accommodation and traditional homemade breakfast. The main square of the village is just 100 metres away. Situated on the hillside of Vasilikos, just 5 minutes� walk from the beach, Belvedere Gerakas Luxury Suites offers well-appointed suites with an outdoor pool and hot tub and free private parking. The Mediterranean-style Platanista is quietly located just 150 metres from the beach and 1 km from Kos Marina. It offers 2 large outdoor pools, spa facilities and free private parking. 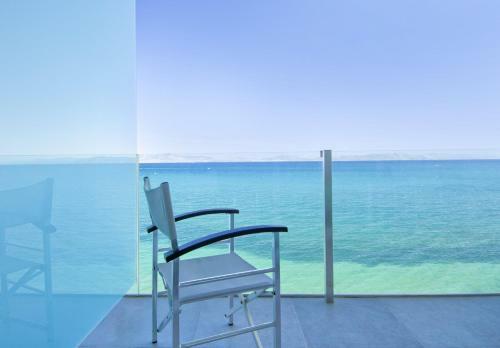 Located on the beachfront, in the centre of Kos Town, Kos Aktis is a luxurious, minimalist design hotel. It offers rooms with specially designed balconies overlooking the Aegean Sea and serves a sumptuous, certified Greek breakfast in the morning. 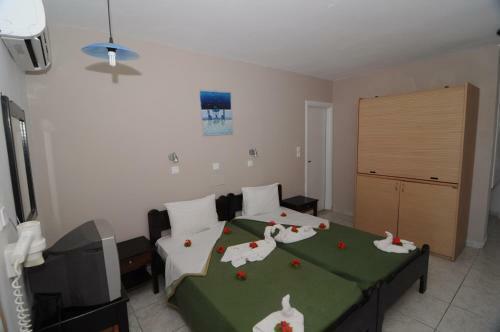 Kos Hotel Junior Suites is situated in the heart of the city, just 10 metres from the beach and a 20 minute drive from the airport. It features modern suites, a gym and spa and a swimming pool. 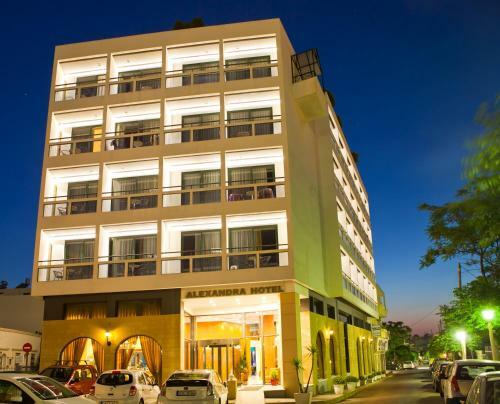 Occupying Kos� tallest building, the Alexandra Hotel offers convenient accommodation with stunning views, just 200 metres from the harbour. A fitness centre with sauna room is offered. 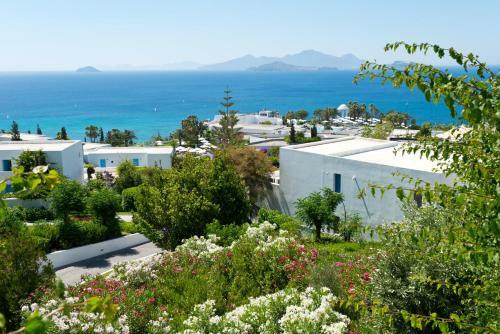 With swimming pools for adults and children, along with an enthusiastic animation team, Kipriotis Village provides fun and relaxing all-inclusive accommodation in Psalidi, just 3km from Kos Town. Set amidst a lush forest, Montanema Handmade Village offers an outdoor pool and a restaurant. It consists of studios, apartments and villas in traditional style, facing Pindos Mountain Range. The Plastira Lake lies at a distance of 4 km.